Instructor User Guide Tests and QuizzesHow do I grade Tests & Quizzes? 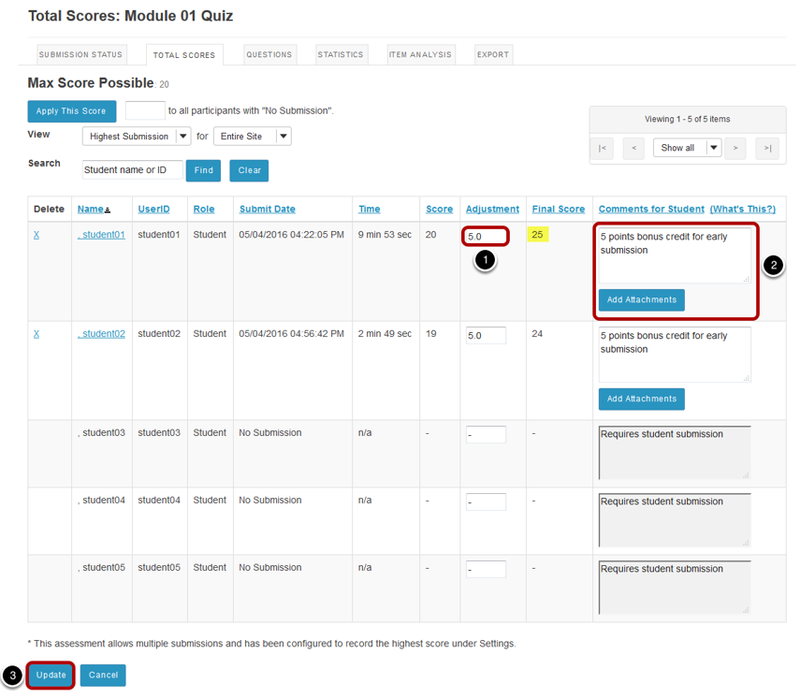 Most question types in Tests & Quizzes are automatically graded by the system. However, you will need to manually score short answer/essay items, file uploads, and audio recordings. 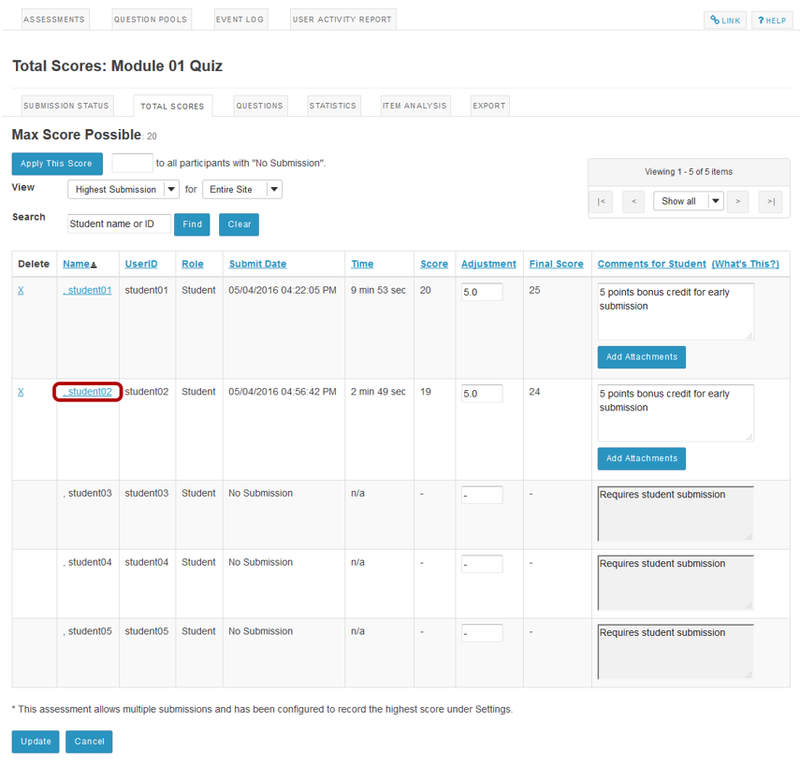 You may also adjust the auto-graded scores, add comments, or give partial credit. Enter score adjustment and overall comments. Zoom: Enter score adjustment and overall comments. Enter a positive or negative score into the Adjustment column to add or subtract points from the student's overall score. You may also enter comments in the Comments for Student column if you like. Students will see these comments when they view the assessment feedback. Optionally, you may also attach a file containing additional feedback. Click Add Attachments to attach a file. Scroll down to the bottom of the list and click the Update button to save your changes. Note: The Final Score column will display the adjusted score after you save your changes. 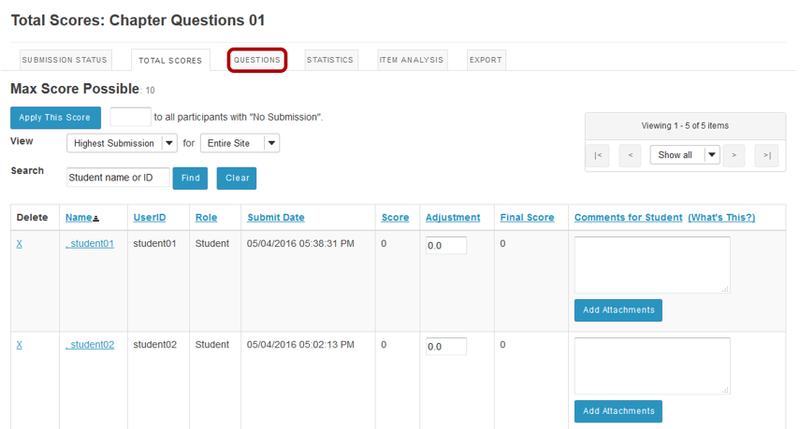 If you would like to grade an individual student submission, click on the student's name. 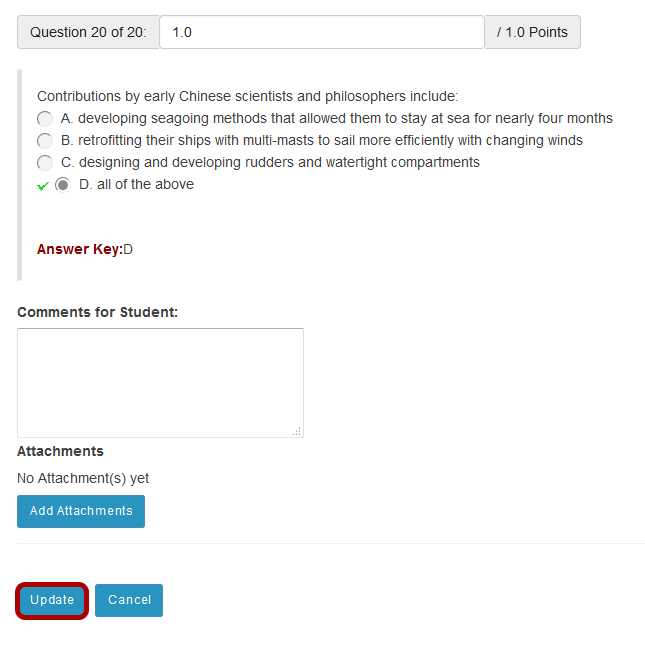 If you prefer to grade all of the student submissions for one question at a time, click on the Questions link in the assessment menu. Select the question and enter grades/comments. 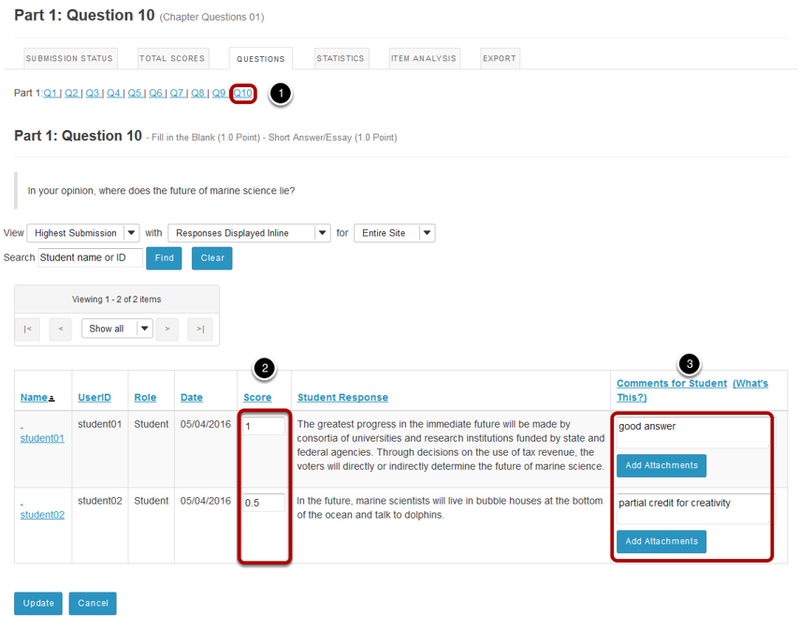 Zoom: Select the question and enter grades/comments. 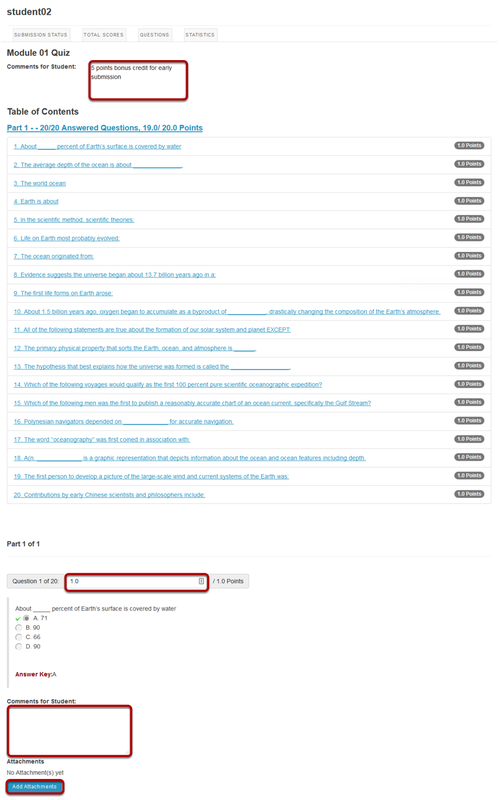 Select the question number that you would like to grade from the list of question numbers at the top. Enter the score for each student for the selected question. Enter comments and/or add an attachment in the Comments for Student column if desired. 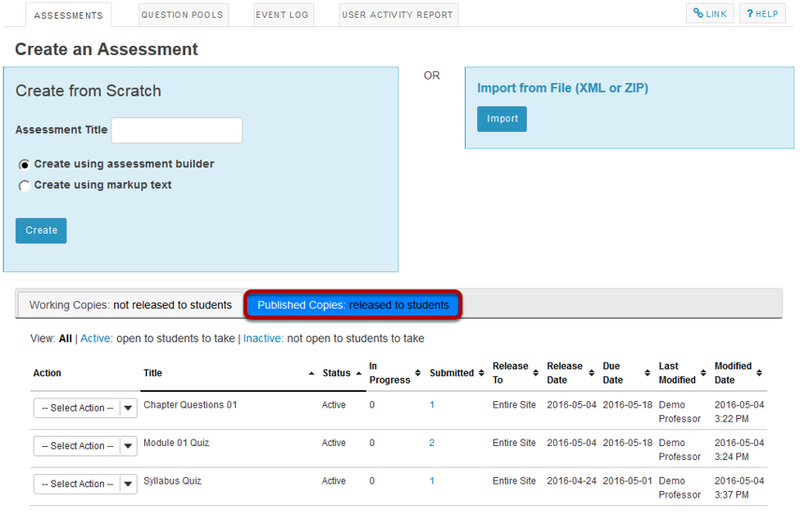 Prev: How do I publish an assessment (i.e. test or quiz)? Next: What is the Tests & Quizzes Event Log?